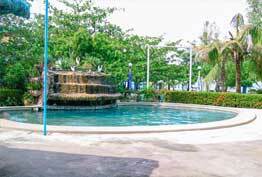 Established in 1987 Rama International Beach Resort is one of the longest established Resorts in Zambales. Under new management since end of 2013 it is operated by a Filipino- German family who offer a quiet and tranquil environment for their guests. Rama Beach Front Resort is centrally located in the very heart of Barangay Binoclutan, Botolan, Zambales, easily accessible with private vehicles or public transportation or our Airport Shuttles from Clark or Manila. It is also known as one of the "Best Beach Areas" in Zambales. The area is famous for being the sanctuary of sea turtles. The resort maintains a Turtle Hatchery dedicated to preserve the turtle population in Zambales. 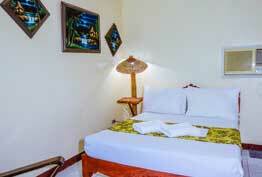 Newly renovated Economy and Deluxe Rooms are available for online reservation. Beach front cottages are set for shelter from the sun during barbecues, picnics Etc. The place is ideal for outings, camping and just getting away from the rush. From basic lodging, private rooms, to private villas that offer quaint amenities, air-conditioning, and comfortable atmosphere. Outdoor Swimming Pool, Restaurant, Events, Day tour Beach Access, Beach Huts, Cooking and Grilling Facilities. 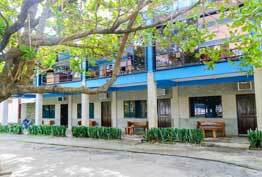 of the facilities, surroundings, location, rooms, and the amazing view. 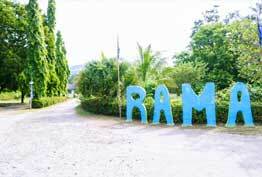 Rama Beach Resort is located along the highway of Botolan Zambales the entrance is paved with colorful banners. Sulit! we'll come back for sure! We stayed sa deluxe rooms so maganda. Not sure lang sa economy. Food - masarap at mura! Beddings - malinis at mabango Beach - malinis at hindi crowded! Staff - accommodating! Esp yung sa restaurant! Super bait tapos masarap yung food! Nagstay kami sa Deluxe Family room. So far so good. The staff are great especially the owner. The beach is clean and our family had a wonderful time releasing the baby turtles to the sea. Price of room is ok and very affordable. I will definitely come back to Rama hopefully this coming holy week. De luxe rooms are ok.